I’ve always loved heights. I’ve progressed from a kid climbing trees and the roof of my house, to my first trip as a teenager parasailing, to skydiving, paragliding, to hundreds of photography shoots from helicopters and small craft airplanes. There’s nothing to compare with the thrill of experiencing a birds eye perspective. Then in 2016 with the release of the latest DJI phantom 4 drone, I was convinced on the DJI’s quality and ease of use for video. While I’d primarily purchased the drone for video aerial work, I was pleasantly surprised by it’s capability for still photography. I’m often asked by clients how to best capture aerials of their properties, and to compare the pros and cons of drones vs helicoters vs airplanes. So here’s examples of my work, and my thoughts on each type of aerial photography. Drones excel in close proximity, and shorter duration aerial photography. 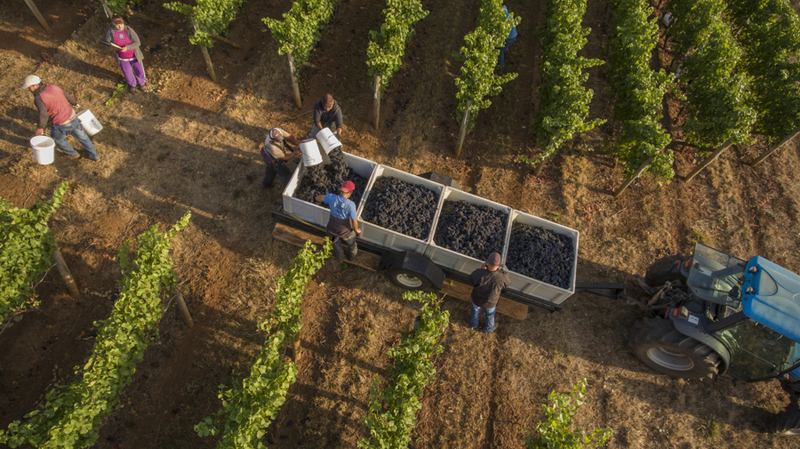 I’ve done helicopter photoshoots over many vineyards and sadly seen the workers literally run or hide from the helicopter in fear of INS immigration raids. Not to mention the noise and dust even from a small helicopter at 20 feet above the ground is quite distracting for the subjects. Though I have successfully captured several large group photos at groundbreaking wine events, I can’t imagine flying over a winemaker dinner at close proximity without major disruption! 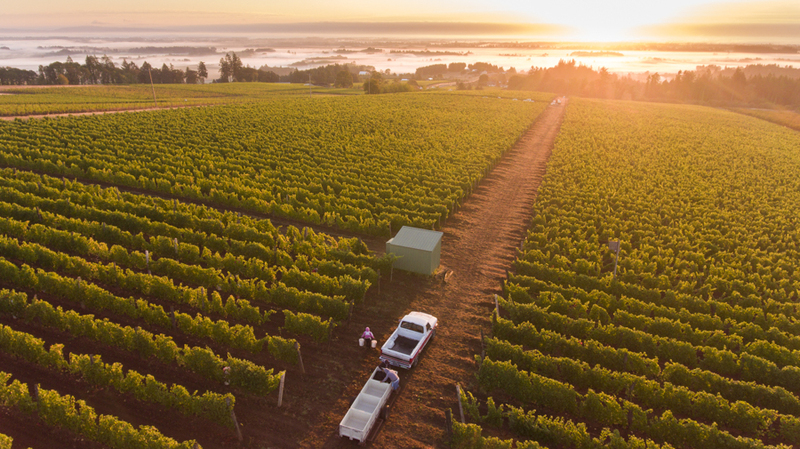 In addition, when I need to capture both aerial and ground perspectives for time sensitive activities such as harvest, I’m able to cover both in quick proximity and with less budget than landing a helicopter and paying for standby time. 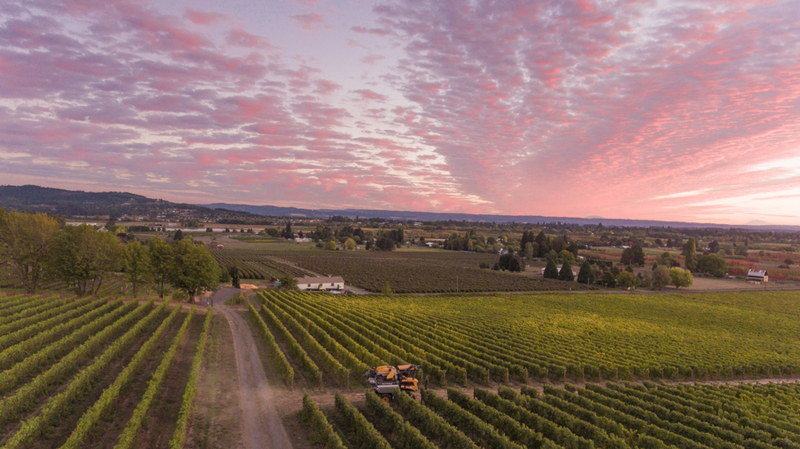 My drone was also helpful on a recent snow day in Oregon, where I wasn’t sure if the vineyard was completely covered in white and I also needed to quickly capture ground views before the snow melted.